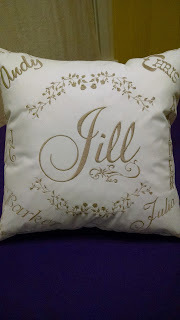 Earlier this year I embroidered the Jill sham with all of her children's and grandchildren's names around her name. 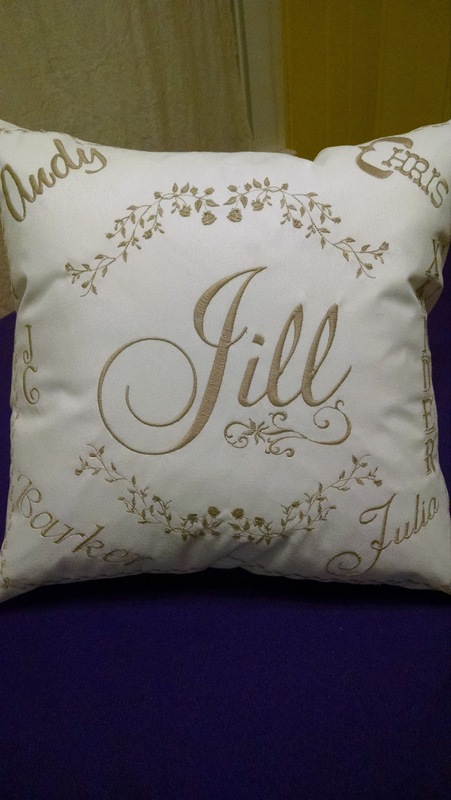 Jill was such a hit that a customer ordered a Marlene pillow sham. And others were done, as well. 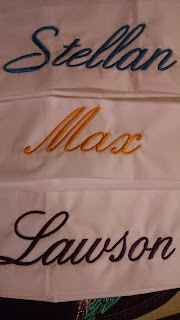 For Christmas a customer wanted the same idea of the names but on a blanket. The customer furnished the blanket and we put the grandmother's name, Sandra, in the center. 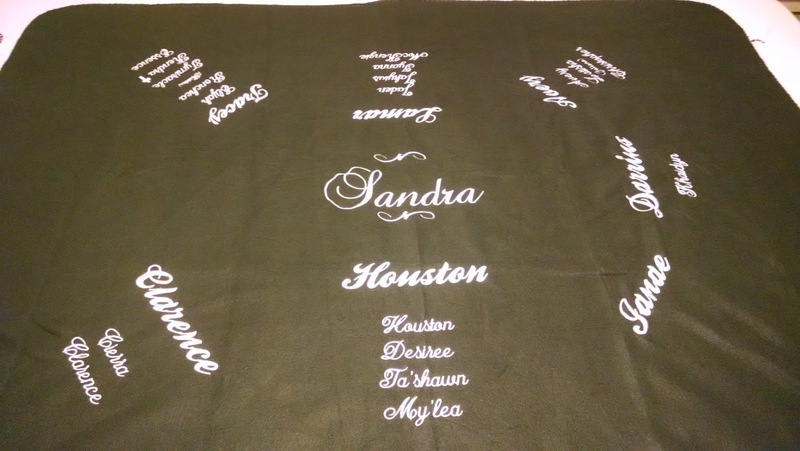 Then Sandra's children's names in a different font and size around her name. 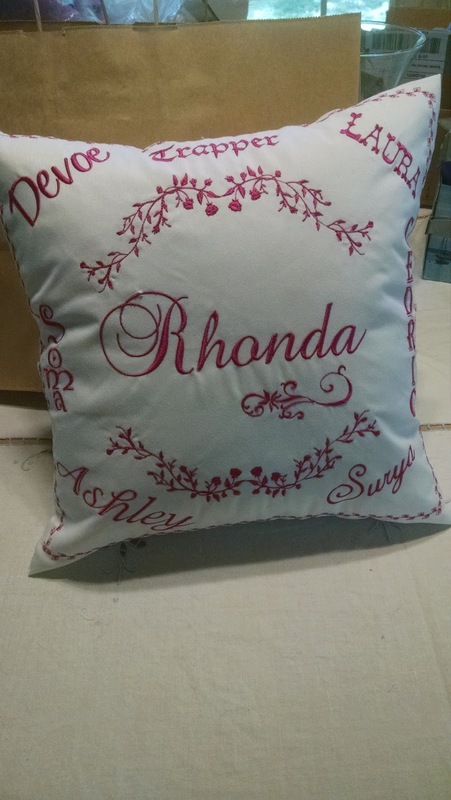 Then Sandra's grandchildren under their respective parent's name in a different font and size. 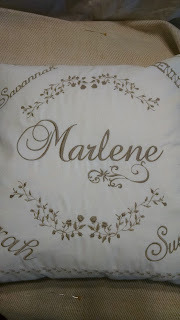 Two of the grandchildren have children and their names appear beneath their parent's name in a different font and size and enclosed in parentheses. There were 30 names in all. The photo makes the blanket appear army green but it was a much brighter dark green. The customer was thrilled at the outcome. I found this Just Another Day in Paradise design online. 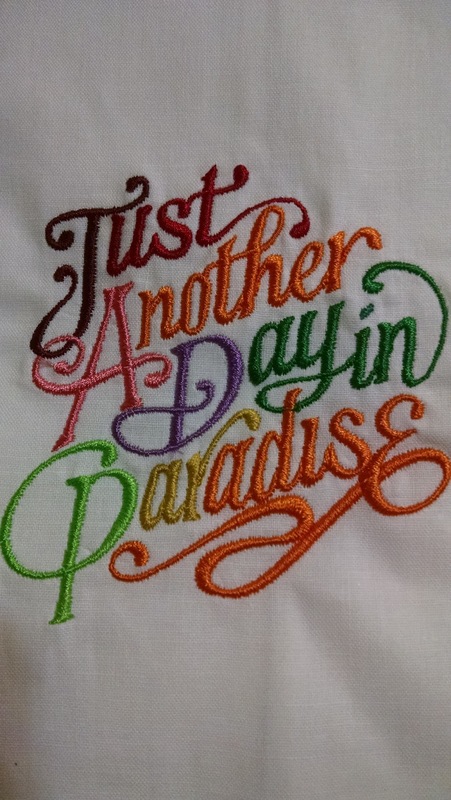 I digitized it and made it multi-colored (10 colors in all), embroidered it onto a hand towel and put it in our Etsy store. A customer saw the towel and liked it. 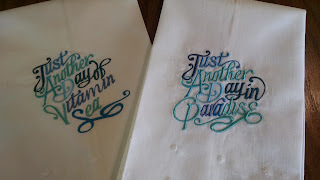 But she wanted a set where the other towel had words on it in the same style but not the same words and using blues. This set is what we ended up doing. 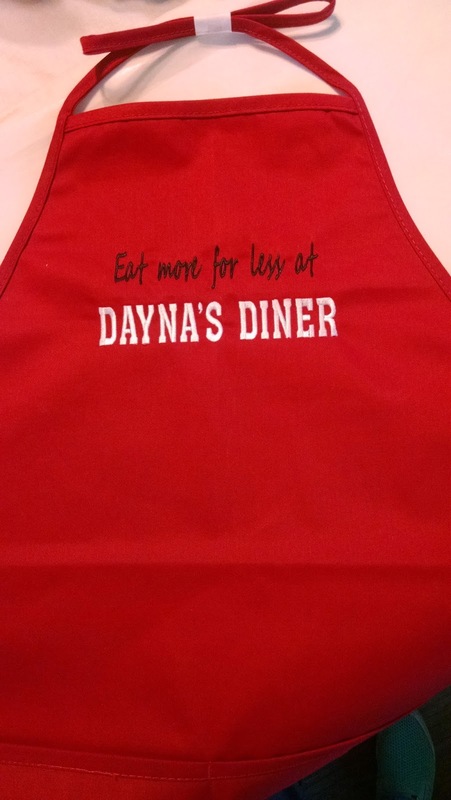 This apron was ordered by a gentleman for his girlfriend who owns a diner. It turned out very nice and he messaged me to say she loves it. 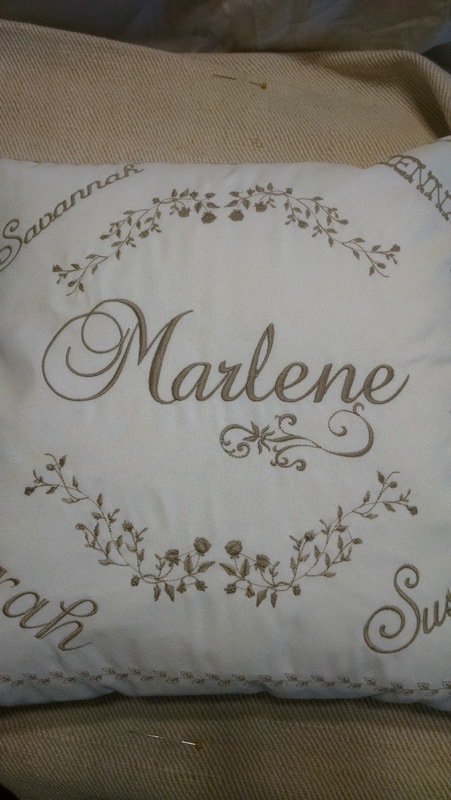 This Christmas a customer wanted her grandchildren's names on the hem of pillowcases so she could put their presents inside, tie up the end of the pillowcase with the name showing, and the pillowcase becomes an extra present. Cute idea. 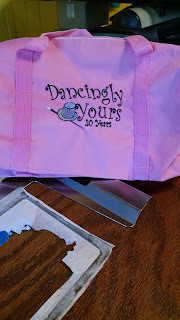 One of my friends and customers is a dance teacher. She always gives her students a little gift at Christmas. This year she celebrated her 20th year. We monogrammed her 20 year logo on 78 bags. It was a busy Christmas season and we closed last Thursday for the holidays. Tomorrow we open once again getting ready for 2017. I wonder what new embroidery we will develop next year?